We are currently seeking Support Workers, Full time or Part time for a new supported living service in the Fliton/Southmead area. Deliver health care tasks to support the hygiene and the general wellbeing of clients. Deliver person centre support to help clients achieve their goals. Perform a range of household tasks with clients such as cooking meals, cleaning and shopping. Assist clients in the community such as, attending leisure centres, events and cultural buildings etc.. Experience preferred but not essential as Training in all areas of work will be provided. We provide a range of supported living packages with in Bristol. Our clients are primarily younger adults with Learning disabilities and mental health. Homecare4U aims to provide a high standard of support that will enable our individuals to live safely and comfortably in their home, whilst maintaining their dignity and privacy. We promote the personalization agenda through its policies and practices. It is our aim to help our individuals achieve the best possible quality of life whilst maintaining their independence. 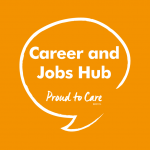 we are looking for our staff to be flexible, able to work shifts including alternative weekends.To have a strong desire to have a positive effect on people with disabilities and a commitment to supporting and promoting person centred support. Personal qualities of resilience, empathy and self confidence. Excellent oral and written communication skills. To apply for this job email your details to southwest@homecare4u.info.